Pawel Zenker was born in Poland on 25th December 1914. After graduation from secondary school he joined the Polish Air Force Officers School at Deblin, graduating in 1937. His first posting was to the 4th Air Regiment at Torun. When the German invasion began in September 1939, he was serving with the 142nd Fighter Flight and he shared in the destruction of a Hs126. 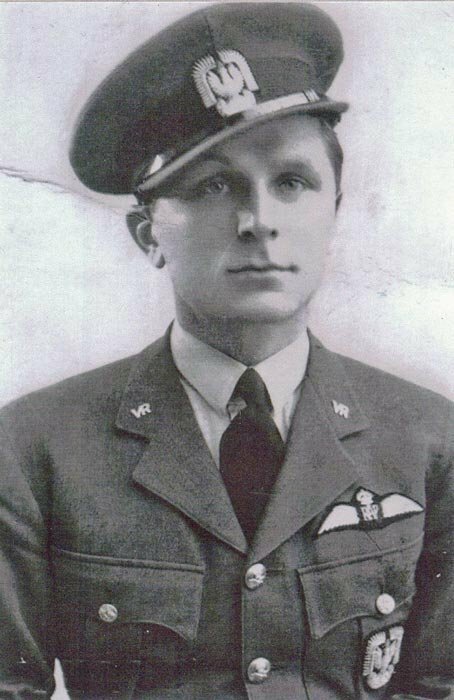 After the fighting in Poland ended he escaped through Romania to France but did not serve with the Polish squadrons in the French Air Force but carried on to England, arriving there in late 1939. After converting to Hurricanes at 5 OTU Aston Down he was posted on 7th August 1940 to 501 Squadron at Gravesend. He claimed a Ju87 destroyed on the 12th. On the 18th he shot down a Me109 of 1./JG51, the pilot Hptm. Horst Tietzen being killed. Zenker was reported ‘Missing’ after combat with Do17’s and Me109’s four miles north-west of Dover on 24th August. When the German formation broke up Zenker was seen to pursue an enemy aircraft out to sea in Hurricane P 3141.